Located near Elysian Fields Avenue and the lake. part of the University of New Orleans Technology Center. 1858 Harper's Magazine Illustration 'WINTER IN THE SOUTH' - Article from HARPER?S NEW MONTLY MAGAZINE, December 1858. 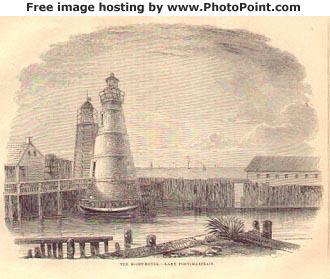 Woodcut engraving 'The Light-House-Lake Pontchartrain'. 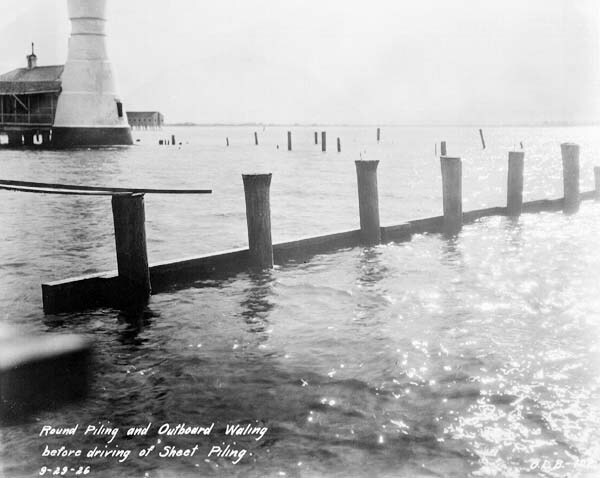 before driving of sheet piling on the lakefront [at the Milneburgh lighthouse]. See below this same view in 1941.
of the new amusement park. 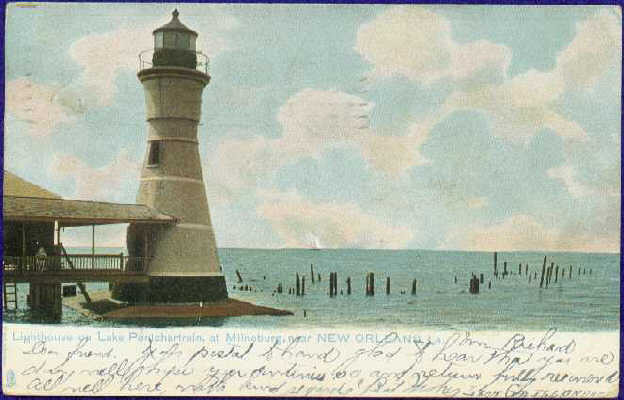 The PORT PONTCHARTRAIN LIGHT (also called the Milneburg Lighthouse) was built in 1832, then replaced with the existing structure in 1855. It shined until 1929. It was a memorable landmark in Milneburg when the area was thriving with entertainment of all sorts. 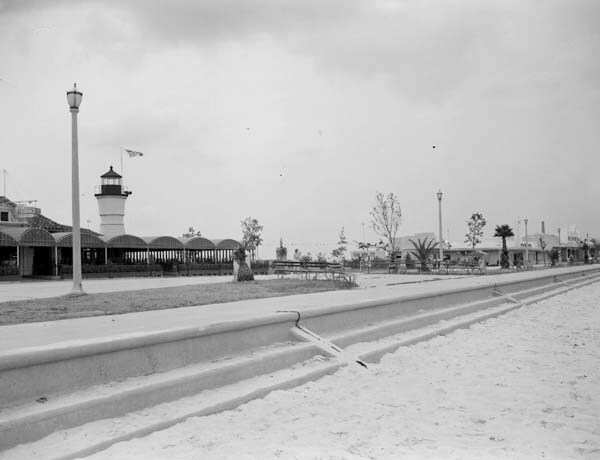 Later the area around the lighthouse became the Pontchartrain Beach Amusement Park--which old timers refered to as "Milenburg". 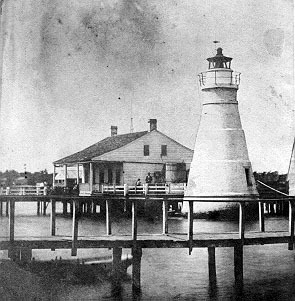 Now the lighthouse is part of the University of New Orleans Technology Center. 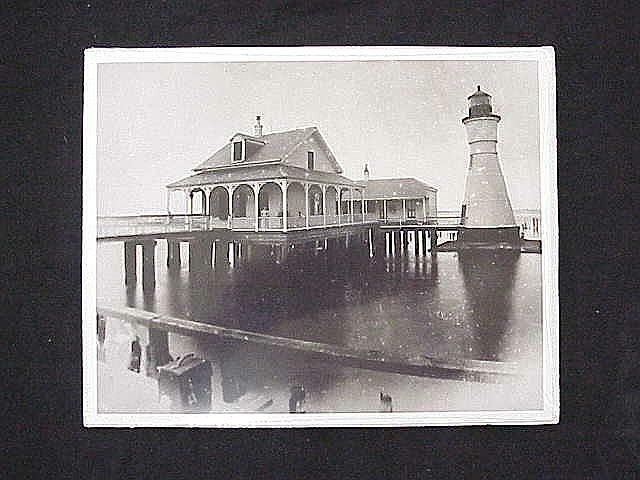 was damaged during the Civil War but repaired and relighted in 1863. 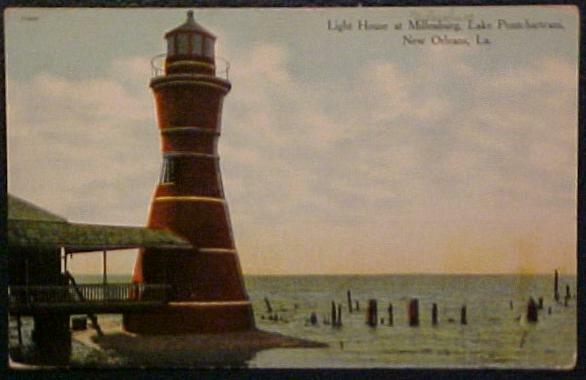 In 1929, the lighthouse was deemed obsolete and was disconnected and donated to the Orleans Levee Board. 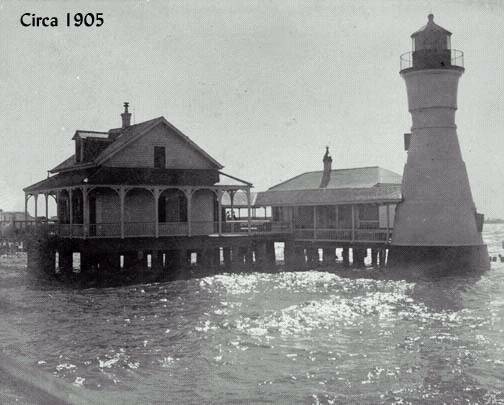 Before the Levee Board filled in and extended the shoreline, the lighthouse was 3,000 feet offshore. Our master plan for the UNO Research and Technology Park has always included preservation of this famous landmark. 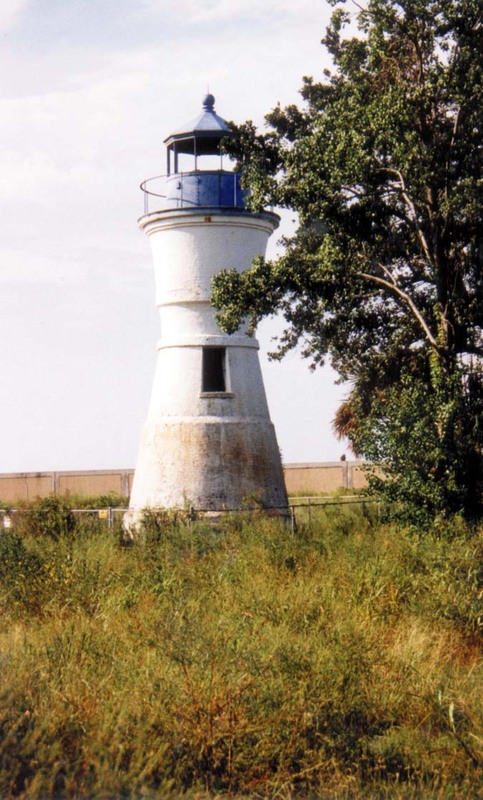 Located at the foot of Elysian Fields, the lighthouse serves as a visual reminder of this area's historic past. UNO's commitment to preservation of historic landmarks extends to other cherished campus structures as well. In particular, the old brick smokestack is the last remnant of the former U.S. Naval Air Station. The smokestack serves as a wonderful reminder to our many students and alumni of their early days at UNO. Center, and we are now raising money for this project. We welcome the interest and support of our neighbors, community and alumni in these efforts to preserve our lakefront landmarks.